Uttar Pradesh minister Surya Pratap Shahi said Saturday the BJP government in the state aims to double farmers' income by introducing technology and modern techniques of farming. For this, the Uttar Pradesh government will hold a three-day event ' Agriculture Kumbha', starting October 26, in state capital Lucknow to bring farmers, experts and scientists on one platform, he said. This is the first time this event is being held and it will also see the participation of agro companies, the state agriculture minister told reporters here. During the event, farmers will be apprised about modern techniques through mechanization stalls, which will tell them about controlling post-harvest damage, he said. 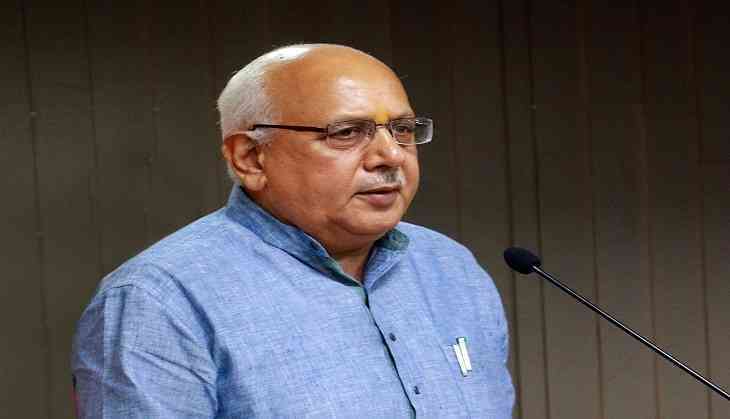 Terming agriculture as the backbone of Uttar Pradesh's economy, Shahi said he expects that at least one lakh farmers will attend the event. Efforts are on to ensure participation of farmers from all the districts, he said. Shahi said animal husbandry is essential for increasing the income of farmers and that improvement of breed of cattle was going on war-footing. Efforts are on to protect crops of farmers through the Pradhanmantri Fasal Beema Yojna, he said, adding that 25 lakh farmers are being covered for their Kharif crop. The state government has waived loans of 86 lakh farmers and arrears of cane growers have been paid, the minister said. Uttar Pradesh is the first state where 23 lakh farmer beneficiaries have been given grant of 756 crores through Direct Benefit Transfer, he asserted.